All varieties of mint do well in water. Trim the ends of the mint and remove the leaves up to the water level in your desired container. With any luck the mint will sprout roots and and you will be able to enjoy fresh mint for weeks. Parsley is a hearty herb. If it wilts before you can get it home, refresh it by immersing in a bowl of ice cold water for about 15 minutes until the leaves are crisp again. 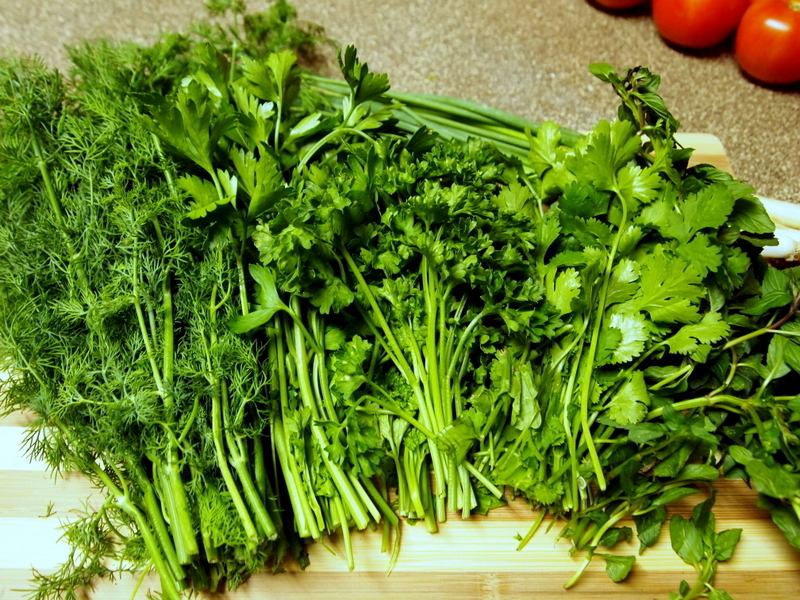 Gently dry the parsley and store it in an air tight container in the refrigerator for up to two weeks (or maybe even longer!). Cilantro is a very tender green. It may need to be refreshed like parsley, but should be allowed to hang while it dries. Wrap in a paper towel and store in an airtight bag. This is the easiest herb in the world to preserve indefinitely. Simply place fresh lemongrass stalks in a vase of water. Roots will form in a day or two and new shoots will star to appear in about a week. If you are not interested in propagating a lemongrass house plant, the stalks can also be peeled and frozen. We have found basil to be the trickiest herb to preserve of all. Sometimes, after refreshing in ice water, we have been able to trim the stems and leave it in water for days. They have even sprouted roots and thrived! Then, other times, we will treat them the same way and they are wilted in the morning. The best plan is to use it as soon as you can, and if you need to use up extra basil you can always make pesto.